In the last year, I made 8 bucket list dreams come true for my readers. Skydiving, heli-skiing, piloting a helicopter, driving a NASCAR, riding in a limo, enjoying a spa day, touring wine country, and attending a ballet were all items on the bucket lists of my readers. I found ways to sponsor them or offer their dreams for free. All they needed to do was show up and live a bucket list dream day. This year I hope to do the same for at least 5 more readers. It’s one of the greatest feelings in the world to be able to help others accomplish their dreams. It’s amazing how much what you can do for others actually does for you. I still remember contacting Ian from Iowa to tell him that he would be participating in a GASS Race Car Day, including driving laps in a NASCAR and hanging out in the pit with the crew. He thought he was part of a practical joke or he was on the show Punked. I smiled all week at the thought of making his NASCAR dreams come true. Then telling Brian of Alberta that he would be heli-skiing with Selkirk Tangiers while staying for the weekend at Revelstoke Mountain Resort was like telling someone they just won the lotto. Even though he’s a man, he yelped like a little girl with excitement. If you could make someone’s bucket list dreams a reality, would you? Well, you can! Click on this link and vote for me in the Biggest, Baddest Bucket List contest. By voting, you will be part of making all of my bucket list dreams come true. All you need to do is vote and vote and vote some more. It doesn’t cost anything. It doesn’t take much of your time and you will be making my bucket list dreams a reality. I am currently in 3rd place in My Destination’s Biggest, Baddest Bucket List! The prize: six months, six continents, ALL EXPENSES PAID, my choice of destinations, and $50,000 cash when I return. Does it get any better than that? I’ve been working hard to maintain my status, gaining interviews with the Cape Breton Post and the Halifax Herald, but I still need your regular votes. I dropped two places this week, but if it was smooth sailing the entire time, it wouldn’t be as sweet when I win. If you’ve been following along for a while, you know my motto: the more unrealistic I am with my dreams and goals, the more I’m able to achieve. Who would have thought that I would have the opportunity to travel around the world this year? This is my chance. For those of you that don’t know me as well, you can learn a little bit more about me here. Vote, vote, and vote again and then share with your friends. Think about the difference one person can make. Imagine if you shared this with your friends and got five more people to vote. Then, they got five more people to vote. I’m a dreamer and I can envision 10,000 votes before the contest ends but to get there I need your help. 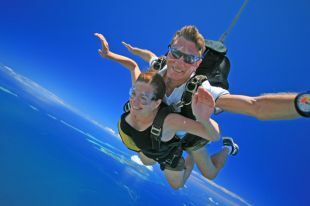 This entry was posted in Uncategorized and tagged Adrenaline, adventure, bucket list, Bucket List Publications, bucketlist, Cape Breton, Contest, culture, Family, Fiji, Getaways, Lesley Carter, travel, USA, vacation by lesleycarter. Bookmark the permalink. That’s wonderful that you are helping others with you position. I hope that people continue to benefit from your kind actions! It has been a rewarding and life changing venture that I hope to continue. Thanks for taking the time to read and comment. I appreciate your support. I’d love if you took the time to vote at http://www.mydestination.com/users/lesley/bbb#tab. I could win a trip around the world and $50,000! How insane is that? Any way that I can help I will! I am voting. What an amazing opportunity. We need to connect Bucket Lists are my passion too. You absolutely rock! Love the blog and what you’re helping others accomplish. Keep dreamin’ big. Tis done because you are worth it and still the only person in the whole wide world that has left a review for my blog on Alexa rankings!! Good luck Lesley! How long have you had your blog? Love what you’re doing and you’re right, helping and giving to others does make ourselves feel good! Keep up the great work and may all your dreams come true!! Thank you! I’ve been blogging for 1.5 years and I loved every minute. It has been the most rewarding “job” of my life. I am so happy to support. And will try to remember to go back a couple of times to vote. One down. You are an inspiration. I have been so busy single-parenting it that I don’t think I bucket lists. Well didn’t until I started easing your blog. Good luck. Because of this challenge, I dared to start accounts for: twitter, google+ and pinterest! Good luck Lesley, let the adventure begin. Good luck. I voted and hope you win. I have my own bucket list and I have been crossing some of them little by little. I hope one day I get the cross the next biggest one of my dreams (Already crossed the biggest one of all). I think you’re doing amazing things for people who want to achieve their goals but don’t think they have it in them or don’t know how/where to start. I love the Eleanor Roosevelt quote at the end. Amazing! This is great and your blog is absolutely wonderful, Leslie. Good luck…our deserve to win! What an absolutely fantastic idea! I am voting!!! Voted and will continue to! You are a very inspiring person.. I’ve never really thought about a bucket list until I started reading your blog..it’s still limited to one thing, but I hope to expand it at some time. Good luck!! Just put up your page on Stumbled Upon. Hoping it will draw many more visitors and votes for you. I’m trying to realise my dream. Hope yours comes true. Good luck Leslie. May you win! What you do is so wonderful. I am voting! Please do continue all the kind work you have been doing! ciao! no fears; you are there. I’m so inspired by you Leslie and look forward to your posts! I VOTED!! You are the epitome of LIVING. I voted for you, and now I will return to my regularly scheduled boring diaper-filled life. 😉 I’ll just live vicariously through people like you! Great idea and great blog! Thanks for stopping by an giving me a LIKE! I just voted for you via twitter! Good luck, this is amazing! What an awesome life. I wish I could pick up and leave and just travel everywhere, no care in the world. One day, one day! Just wonderful…the photos on this blog get me all excited and ready to GO! Lovely place to visit…I’ll be coming back often! Just voted for you via Pinterest. Good luck to you! Been following for a`while- wishing you all the best. Heading off to Burma for a month – loving life! I keep finding things and places to add to my bucket list. We just returned from Hawaii and I was fortunate to see the rare NeNe, dolphins (including a baby), whales, geckos, lots of tropical fish, walked on a volcano, and went to the highest mountain from the sea floor in the US. Loved it all. Thanks for your shares. Love your fearless approach on life, and your dedication. It’s nice to find people that I can relate to, and be inspired by. Keep it going! Your life inspires me. You have my vote! It’s when we’ve reached a place of happiness within ourselves that we can truly give to others. Cheers to you. New favorite blog. This is a really neat idea. I have a bucket list dream but maybe its too dumb :(. I hope that one day my blog becomes popular enough so that I could make a difference in peoples lives like you have. Maybe it sounds corny, but there it is. Great read. A bucket list is definitely something I am considering doing for myself. WOW! Too, too cool for words. You got my vote! You deserve it! I just voted for you! Keep the adventure alive!